Teams responsible for flying the bold BepiColombo mission to Mercury today completed the last major step in preparation for Saturday's liftoff—the final pre-launch 'dress rehearsal' at ESA's ESOC control centre in Darmstadt, Germany. 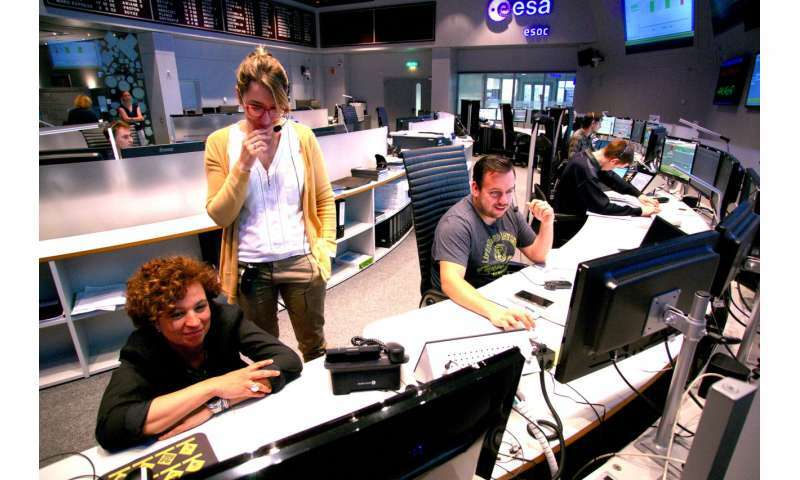 Engineers worked throughout the day in ESOC's Main Control Room simulating BepiColombo's launch, maintaining data and voice contact with their counterparts at Europe's Spaceport in Kourou, French Guiana, and at the ground stations that will support BepiColombo's departure. 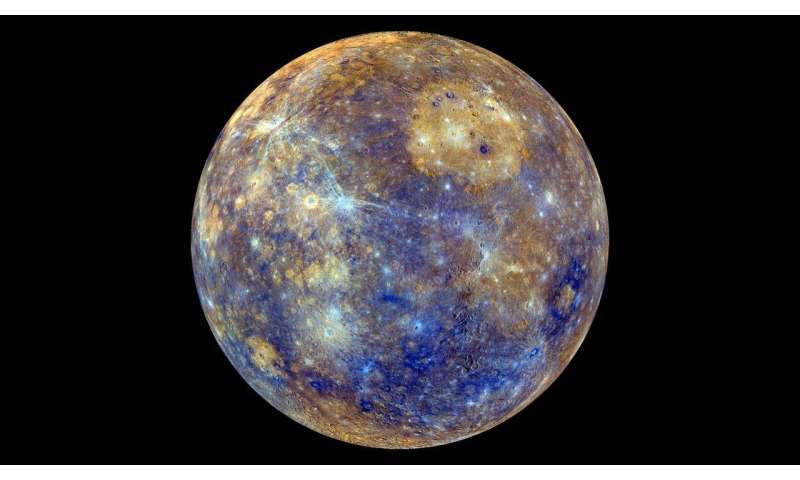 "Mercury is a planet of extremes, and getting there requires some equally extreme techniques, navigation solutions and operations expertise," says Paolo Ferri, Head of Mission Operations at ESOC. "Following its departure from Earth, the spacecraft will travel nine billion km in seven years, completing nine planetary flybys at a top speed of 60 kilometres per second, all in order to reach the least explored planet of the inner Solar System." Today's dress rehearsal follows four months of simulations in which teams practised all phases of flight control, including how to handle unexpected contingencies. The satellite itself joined mission controllers for today's test via an umbilical cable—a connection that will be dropped just a few minutes before liftoff (watch live on 20 October starting at 03:15 CEST). From liftoff until the spacecraft is functioning stably in its planned orbit, BepiColombo will be in what engineers call the 'Launch and Early Orbit Phase' (LEOP)—the period in which the spacecraft is gradually switched on and systems are checked out to ensure the craft is healthy. "At this point we are at the interface between Earth and space," explains Elsa Montagnon, Spacecraft Operations Manager for BepiColombo. "Key elements of the spacecraft, such as its thrusters or its solar sails, must be activated as soon as possible after it has separated from the launcher, but before ground teams have fully taken over control. Until then, the spacecraft cannot function fully." 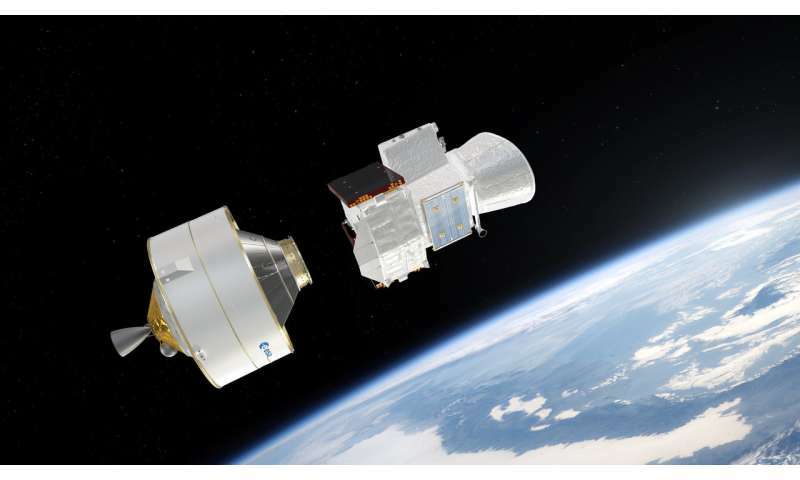 At about 26 minutes after liftoff, BepiColombo will separate from the Ariane 5 'upper stage', and ten minutes later teams at ESOC will be keenly awaiting the first signals from the interplanetary explorer itself, now travelling solo. This 'Acquisition of Signal', or, AOS, is expected at about 04:22 CEST, and will be picked up by the New Norcia ground station in Western Australia—part of ESA's global ESTRACK network of antennas that scour the skies to communicate with spacecraft and launchers. After mission control establishes a data link with the spacecraft, teams must still wait about an hour to deploy the spacecraft's solar arrays, and longer still to deploy its antennas. These vital steps will be "seen" by ground teams through telemetry—real-time status updates—received from the spacecraft. While BepiColombo's main science camera is enshrouded for the trip to Mercury, the craft is equipped with three low-resolution monitoring cameras to provide additional visual confirmation that arrays and antennas have deployed correctly—images of each will be received by ESOC over the course of the weekend. "This is an exciting time," says Rolf Densing, ESA's Director of Operations. "After months of practice, teams here at mission control are eager to see BepiColombo depart from our planet, and they're ready to guide it carefully every day for seven years until it arrives at Mercury."